Americans, particularly American women, are shocked, bewildered and angered over the change in mammography guidelines. Many emphasize that it is changes like these that foster distrust in the medical system and lead people to seek alternative practitioners. That’s unfortunate because the change in guidelines highlights one of the most important strengths of modern medicine: medicine is constantly changing in response to new scientific evidence; “alternative” health doesn’t change because its not based on scientific evidence; its based on belief. In other words, what lay people perceive to be the biggest weakness of modern medicine is actually its biggest strength. Medicine is like a frost covered windshield. We cannot yet see the full view because we lack a complete understanding of how the body works, and we lack a complete understanding of many diseases, particularly cancer. 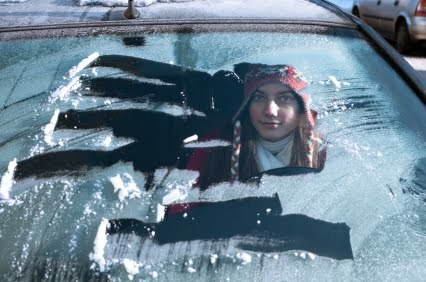 Unlike the real world, where we can totally wipe away the frost obscuring our view through the windshield, in medicine we have to content ourselves with ever increasing clearing of various spots. And unlike the real world, where we can wait to totally wipe away the frost before we start to drive, in medicine we must keep moving forward despite our incomplete view. We get into trouble when we try to shortcut the process by making assumptions instead of waiting for definitive evidence. Medical screening is just one area in which we’ve been forced to backtrack on our assumptions when new evidence becomes available. We have assumed that because some screening is good, more screening is better. That assumption was never supported by scientific evidence. With more experience and with more scientific evidence we’ve cleared away more of the mist obscuring our view. Routine yearly mammographic screening in low risk women has minimal if any impact on death rates. That’s because it picks up small tumors that aren’t likely to develop into aggressive cancer and does not increase the diagnosis rate of the aggressive tumors that are likely to kill women. Paradoxically, the failure of routine screening mammography has convinced American women of its success. All of us know women, or are women, whose small breast cancer was diagnosed by a routine mammogram, who had lumpectomy, and perhaps radiation or chemo, and are now cured. The scientific evidence tells us that almost all of those cancers would have remained stable or possibly even disappeared if they had not been found and treated. In some ways, that’s even more distressing information than the change in mammography guidelines. It means that thousands of women have undergone unnecessary biopsies, unnecessary surgeries and unnecessary chemo and radiation, not to mention unnecessary anxiety and fear. We didn’t cure these women. We treated them even though they didn’t need it and then took credit for what would have happened anyway. A disaster like this would never happen in “alternative” health because it doesn’t change with new scientific evidence since it is not based on scientific evidence. That’s one of the reasons why “alternative” health remedies are never tested before they are implemented. What would be the point? And it’s one of the reasons why advocates of “alternative” health ignore evidence that their treatments don’t work. “Alternative” health does not advance new theories, acquire new information and modify theories based on new information. The same “remedies” that were used hundreds of years ago are offered now as if nothing has changed in the interim. Classic books in “alternative” health tend to have only one edition. There’s no need to have more editions when nothing changes. In “alternative” health, things are simple, remedies are static, and certainty is prized. That is very comforting to human beings who value certainty in an uncertain world. Medicine is messier. The human body is complicated, and disease is complicated. We are constantly acquiring new information about both. Treatments and medical recommendations change in response to this new information. No one can be sure that the therapy recommended today won’t be superseded by a better therapy found tomorrow. Only one thing is certain. The recommendations issued this week are sure to be amended at some point in the future, most probably because we find a better screening tool for breast cancer than mammography. We need, and we are looking for, a screening tool that will be able to tell the difference between aggressive breast cancers and those that will go away on their own. It is unfortunate that we are periodically forced to reassess medical recommendations. However, it would be tragic if people viewed this reassessment as a failure and stopped listening to recommendations. Returning to the windshield analogy: it is a shame that we sometimes need to change course when our view expands, but it would be tragic if people decided on that basis to drive without ever looking through the windshield at all.